We have developed a safe method for hydrogen storage to provide power on the move. 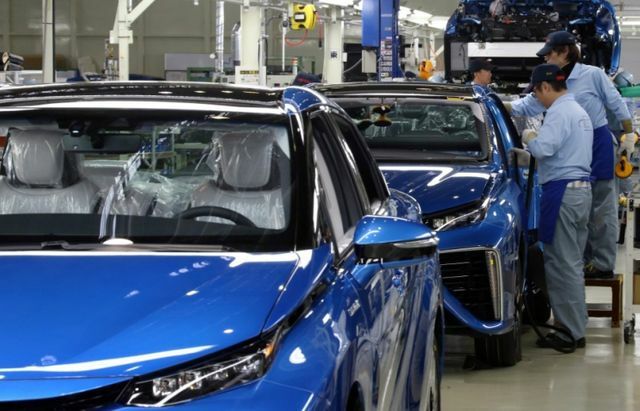 Toyota's Mirai (meaning "future" in Japanese) will be one of the first mass-market cars to run on hydrogen fuel cells, which convert compressed hydrogen gas to electricity, leaving water vapor as the only exhaust. As opposed to getting plugged in overnight, the sedan will need only about three minutes to get back to full charge, a huge boon for convincing the world's drivers to convert to a cleaner ride. But the green technology has found a surprisingly forceful critic in Elon Musk, the electric-car pioneer and founder of Tesla Motors, maker of battery-powered cars like the Model S. Musk has called hydrogen fuel cells "extremely silly" and "fool cells," with his main critique being that hydrogen is too difficult to produce, store and turn efficiently to fuel, diverting attention from even better sources of clean energy. So what’s wrong with hydrogen cars? Hydrogen-powered cars in Japan, “Mirai”: "the future"... Betting on hot air. Brave forecast or head in the sand? It's not just "Us vs Them"